Mark Frost's first YA novel, The Paladin Prophecy, is the first in a one of a kind series. The characters are so vivid and individualistic and a very big part of why I enjoyed the novel so much. Though the Fall Ambuzzador season has come to a close, I still wanted to do this fun activity. Below is my dream movie casting for The Paladin Prophecy if it were to become a movie! Who would you cast? Todd Hodak: School bully. Yeah, you know the type! Read my 5 Dove Review! 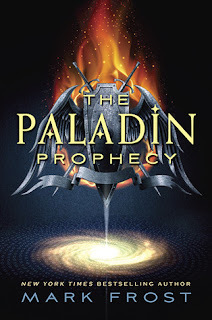 Learn more about Mark Frost & The Paladin Prophecy by joining me (LOVEYDOVEYBOOKS) on Random Buzzers!